cloudwith.me Review 2019: Is cloudwith.me a Good Hosting? Cloud With Me is an online service which allows users to create free accounts to connect their websites with cloud servers like Amazon Web Services and Microsoft Azure. The service makes the whole process run smoothly and quickly, ensuring the security and stability of the hosting service at the same time. Cloud With Me is a user-friendly solution that allows website owners to upgrade their existing IT infrastructure to that of Amazon Web Services, Microsoft Azure, or Google Cloud. The aim of Cloud With Me is to ensure that even users who don’t have the requisite technical knowledge can easily move their website to a cloud hosting service. Cloud With Me features a simple user interface that allows anyone to create a free account, enabling website migration to one of the three cloud servers. Setting up an account is a seamless process with multiple options like registering via Facebook or a Google+ account. It usually takes a whole lot of time and knowledge to migrate from a shared host to a cloud server, but this service allowed me to finish the whole process in just a few minutes. All I had to do was register an account and choose which cloud server I wanted to use. Each of the server options offered their own hosting packages, while Cloud With Me operated as the middleman to guarantee security and functionality. Amazon Web Services (AWS) is a flexible cloud hosting solution that allows users to host their websites using a versatile, easily scalable package. Their offerings include five different packages, starting with 100,000 views and 6GB of storage. Their most powerful option includes more than five million views per month and 16GB of storage. AWS is very popular with e-commerce business clients, which makes Cloud With Me a great tool for small business owners without a tech team on their payroll. Microsoft Azure is a collection of integrated cloud servers that allows users to build, deploy, and manage their content through a global network of more than 40 data centers. Although it’s a Microsoft service, it’s not limited to the Windows OS — a good thing for those that need Linux-based servers. Their offerings include hosting packages that allow up to 300,000 page views per month and 10GB of storage, all the way up to five million page views per month and 20GB of space. Google Cloud allows you to build and deploy your online apps, websites, and services easily and effectively thanks to their impressive performance features. What’s good about Google Cloud is that I was able to create a free trial account with no strings attached, and I got $500 credit to spend on any of their several paid features. Clients decide which add-ons they require to effectively run their website, and Cloud With Me will perform the installations automatically. 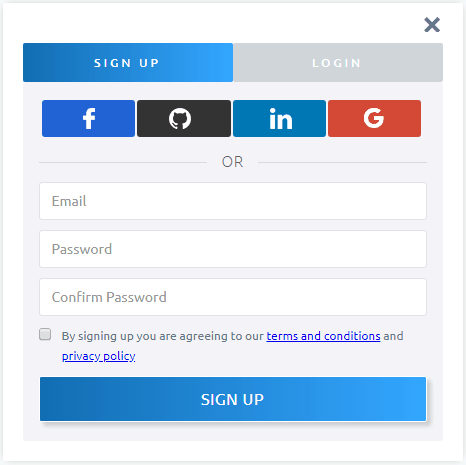 Cloud With Me allows their users to create a free account. However, the cloud services are owned and operated by their respective vendors; Cloud With Me is simply a middleman, there to bridge the gap. This is important to remember, because many users get the impression that Cloud With Me is a free cloud hosting service – IT IS NOT! Cloud With Me offers live chat, email, and phone support service. Live chat support is available 24/7, but you might have to wait some time for a response. This is a useful and convenient service for those that want to scale their online businesses without any hassle. It’s highly recommended for users who need to scale up to a cloud hosting service but do not possess much technical knowledge. Wondering how cloudwith.me stacks up against other Web Hosting companies? Enter any other Web Hosting company and we will give you a side-by-side comparison.